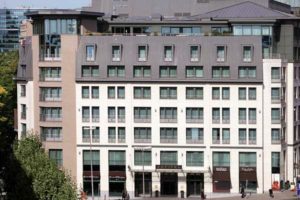 A 10-minute walk from the European Parliament at Espace Léopold, this elegant hotel is also 1.9 km from the Royal Palace of Brussels and 3.5 km from the Grand-Place central square. All of the airy rooms feature modern decor, flat-screen TVs, WiFi access, coffeemakers, laptop-size safes and designer toiletries. Suites have added amenities like separate living spaces, espresso machines, private terraces, massage showers and DVD players. The hotel has a business center, 11 meeting rooms, fitness facilities, a hammam, a rooftop terrace and a chic restaurant/bar serving local, organic fare. 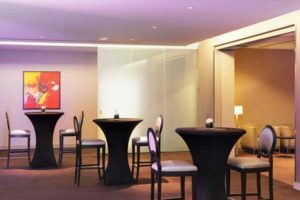 Contact the hotel directly or, through your preferred hotel reservations site in order to access availability of guest rooms at The Sofitel Brussels Europe or alternative hotels nearby. 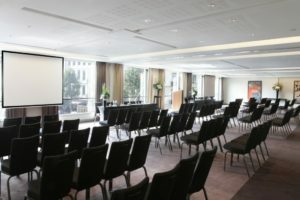 As the situation changes frequently, we have not secured an allocation of guest rooms for attendees to the IEEE Summit.